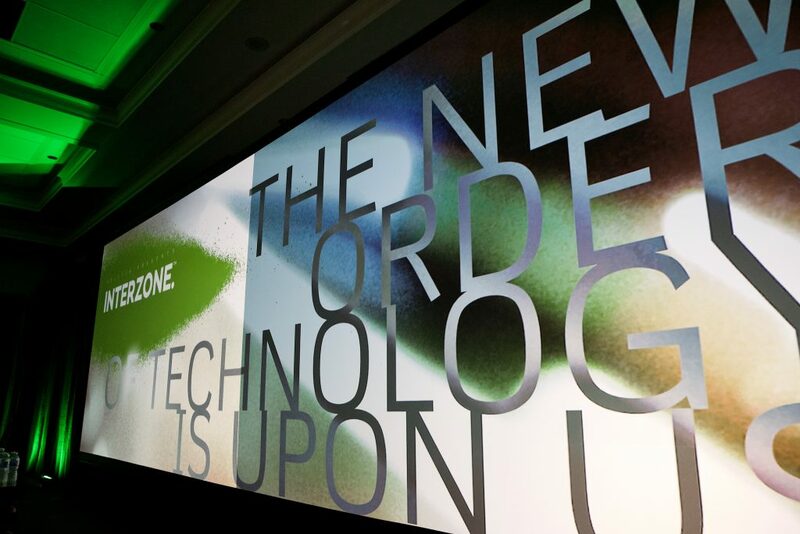 Interzone aims to put on this planet’s ‘most thought-provoking technology conference’ – and it’s happening this April at the Sheraton Wall Center in Vancouver. From the speaker list of 40 innovators and global CEOs, with stalwarts like SAP CEO Bill McDermott, Hootsuite CEO Ryan Holmes, Lavalife Founder Bruce Croxon and Code 20140 CEO Laura Weidman Powers, you might get the impression it’s yet another big tech-apalooza along the lines of Vancouver Startup Week or the recent BC Tech Summit – but this one’s a bit different. At which point, I remind myself that this event is sponsored by the likes of IBM and Hewlett Packard Enterprise. And that nominally straight-edge folks like BC Minister of Technology Amrik Virk, CBC’s Dragon’s Den star Bruce Coxon and TELUS Chief Data and Trust Officer Pamela Snively, along with the above-mentioned all-star lineup are all headlining this gig (not to mention myself – full disclosure, I’ll be moderating the panel, ‘American History in Binary Code’). Why are attendees coming out to Interzone this year – and what’s the deal with the conference’s unique mix of technology and politics? Of course, for those looking to do some more traditional business networking, it won’t hurt that every speaker is a C-level executive. Getting out to a lot of technology events for my BetaKit coverage, I can’t help but notice (“in 2016”, as our country’s PM might put it) that most events tend to have pretty skewed gender imbalances – with speaker slots of either mostly/all men, or entire panels of women where the moderator introduces the panelists by loudly and proudly noting their gender. Not so at Interzone. Register for Interzone for only $395 using discount code BETAKIT395. That’s $100 off the price of admission. Tell ‘em we sent you – and we’ll see you at the event!